Susan’s work is informed by nature and the landscape around her home in Everton, Ontario. She works with recycled and distressed fibres, paper and textile combinations and found objects. She also paints and dyes most of her own materials. 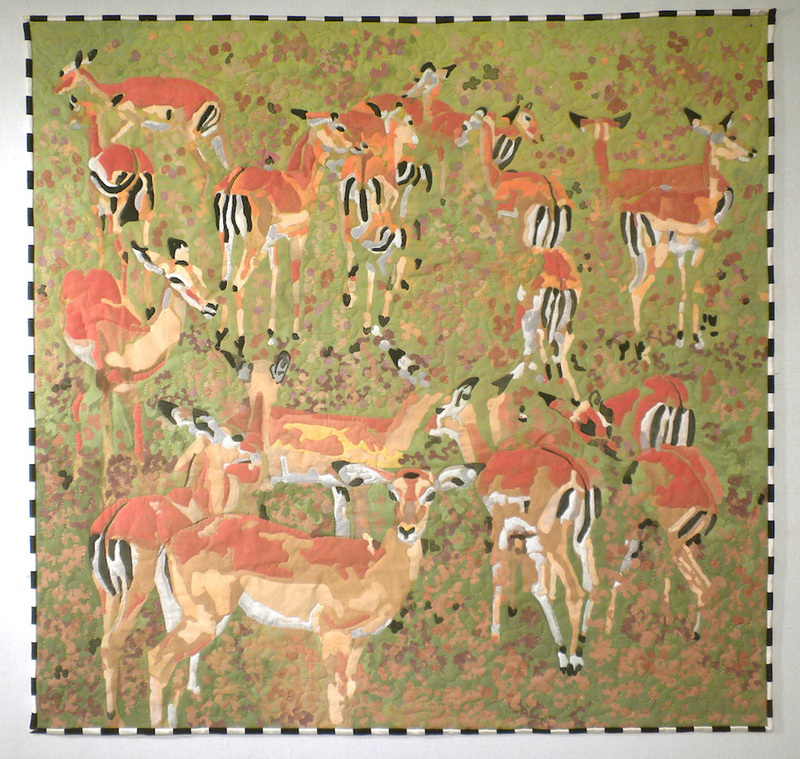 Following a trip camping and photographing in the Serengeti, Susan produced a series of quilted paintings showing how animals in the wild can be unexpectedly camouflaged in an environment which is essentially dry and colourless. These formed a series of works for the inaugural show of the Octarine Women Artists’ Collective (www.octarineartists.com) in Guelph in 2014. Several of the smaller works are still for sale. Please visit the gallery for recent works here Impala is now in a private collection in The Hague, Netherlands. Copyright © Susan Strachan Johnson. All rights reserved.